Welcome to the inaugural post for our new series, SFF in Conversation! 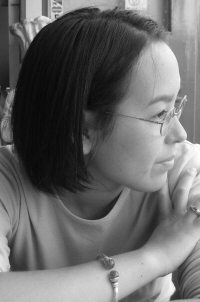 To kick-start the feature, we have invited Aliette de Bodard – author of the excellent On a Red Station, Drifting a finalist for the Hugo and Nebula Awards (which Ana reviewed recently) – talking about the roles Vietnamese and Chinese traditions play in her fiction. I grew up with dragons and heroes. They weren’t, though, the “right” kind of dragons: they did not squat, lizard-like, over a hoard of gold, or breathe fire; similarly, the heroes were not knights in shining armour, helped by archangels to slay monsters. The influential characters of my childhood came from two tattered books: a large one of Chinese fairytales, and a much smaller one of Vietnamese tales (supplemented by stories from my maternal family) 1. My dragons brought rain and Heaven’s blessings; and coiled, serpent-like, at the bottom of rivers and seas, preferring pearls and jade to gold and maidens; my heroes were staunch Confucian scholars, more likely to come home to their aged mothers than to marry a princess; or crafty carpenters like Lu Ban, always ready to outwit spirits and Immortals when building them temples. 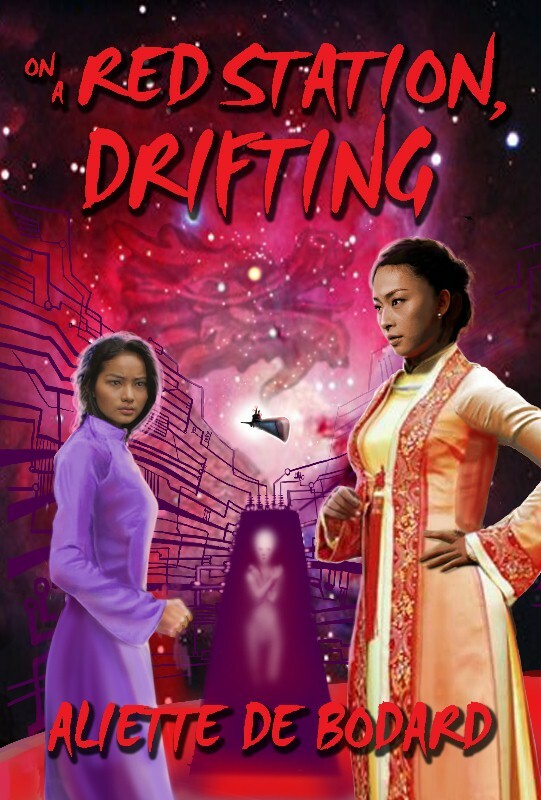 You can find Chinese and Vietnamese culture in my fiction in obvious places: in the short stories I’ve written (“The Dragon’s Tears” on Electric Velocipede is basically my tribute to my Chinese fairytale book); and in my novella “On a Red Station, Drifting”, a combination tribute to Dream of Red Mansions and the strong women of Vietnamese tradition (Confucian Vietnam is arguably a much more matriarchal society than Confucian China). More than that, though, what I got from the stories I read as a child and from my upbringing was the idea that the ideal position in life was a sense of balance–the Confucian Doctrine of the Mean, where the ideal path through life lies in the middle between extremes–; that great passions and great love can be as destructive as great hatred; and of course that family and ancestors were an all-encompassing force that always came first in one’s life (and the prominence of food in life, which you probably can see everywhere in my fiction!). This is a strong part of the bedrock I build my stories on. It is at odds with the general SFF impetus–which is often one of lone adventurers striking out for themselves (what I call the “frontier/pioneer ethos”) 2, of conflicts that escalate until victory is reached. It took me years to understand that even though such stories are generally not to my taste (and indeed starkly against my instincts of what a good story should read like) 3, reading an accumulation of them had cemented an “ideal” image of SF in my mind, where no story was worth anything without conflict. In my work, I’ve had to push against the instinct to conform to this overall narrative (which is mainly Western, and I suspect strongly driven by colonisation tropes). It is not an easy ideal to have in one’s mind for writing SFF–not when my first instincts go towards families working as a whole, and reconciliation rather than conquest; when the aliens that the main characters meet sometimes seem like transparent metaphors for the first contact between European colonisers and soon-to-be colonised locals; when the reference base for so much SFF seems to be the Anglophone West, and the people I’m meant to identify with sometimes seem more alien than the aliens themselves in their relentless drive to isolate themselves or be the absolute best at everything. My characters are almost always part of a large familial network, even though you might only catch glimpses of it: in my Obsidian and Blood novels, the hero Acatl originally had a much larger family, but I had to remove most of them from the draft and leave them as references in order to diminish reader confusion (now that I am a better writer, I’m almost sure I could diminish reader confusion and keep the extended family in…). In my latest Clarkesworld story, “The Weight of a Blessing” the extended family is notable for their absence, and the emptiness they leave behind them–they serve to highlight the crippling sense of loss experienced by the main character, and the transition from a society based on community to a more individual one. Similarly, in my stories, people seldom resort to violence except as a choice of last resort (“On a Red Station, Drifting”, though it has plenty of resentment simmering within the family, has no physical violence and the only weapons on display belong to the local equivalent of the police force–who never use them). And, always, my pieces are drenched in a strong sense of place and culture–because it’s the myriad little and large things that we grow up with that end up forming the basis for our oh-so-different ways of seeing the world. Aliette de Bodard lives and works in Paris, where she has a day job as a System Engineer. In her spare time, she writes speculative fiction: her stories have appeared in Interzone, Clarkesworld Magazine and the Year’s Best Science Fiction. Her Aztec noir series is published by Angry Robot, and her novella On a Red Station, Drifting, out from Immersion Press, is a finalist for the Hugo and Nebula Awards. Visit http://www.aliettedebodard.com for more information. This is such a fantastic new series, ladies! I’m so glad that you are doing it, and this was a fantastic piece to start off with. I love reading about the various cultural influences authors draw from in their SFF work, particularly when it’s Eastern cultures that are not extremely common in speculative fiction.